I’m sitting in Thermopolis, Wyoming, in an old Holiday Inn, that has a gun display in the lobby. My body is sore this morning, but I’m itching to get on my bike today. Tonight we’ll stop in Casper, Wyoming, 134 miles down the road. All in all though things are going well, thanks for everyone’s ideas about my flat tires, although a few flats are nothing shocking, what is, is the awful condition of the roads. The shoulders are full of jagged rocks, trailer spikes, endless broken glass and miles of worthless rumble strips. That said I would say that my bikes have held up well to the brutal punishment. I have been keeping a riding journal, which I intend to share here, although today is not the day. I will mention that we’ve ridden through nothing short of amazing country. Idaho blew my mind, Yellowstone was remarkable and peculiar with the last seven miles to the east entrance being the best cycling so far in the trip, all down hill for 3000+ feet at 40 mph. Shortly after we crossed through the North Absaroka Wilderness, part of the Shonshone National Forest where the Gunbarrel Forest Fire coated the sky with an enormous smoke canopy for the remaining 60 miles to Emblem, Wyoming. It was a stunning sight, incredibly beautiful yet destructive and horrifying, a sight I will not soon forget. Currently I’m thinking about New Orleans, thinking about the future of our country and hoping nothing but the best for every person in this great land. On Saturday August 23rd we started the morning with an interview for KIDK, the CBS affiliate in Idaho Falls http://www.kidk.com/news/27335964.html. 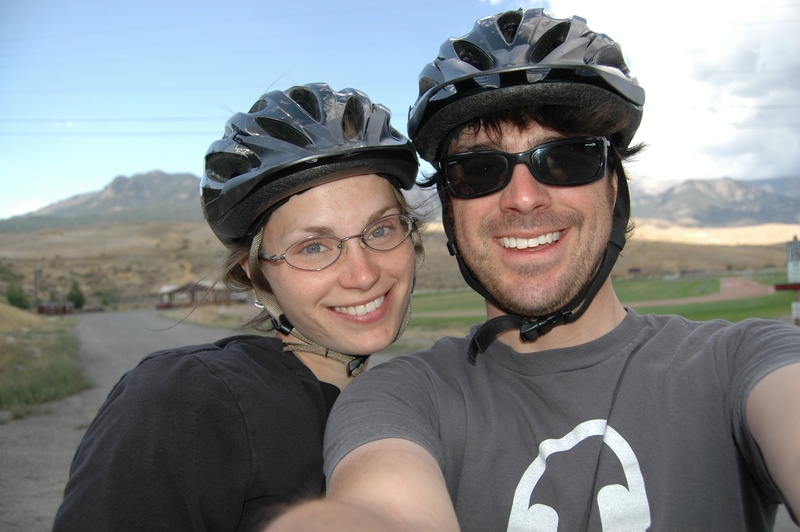 Pearson and Pete then cycled to West Yellowstone along the heavily trafficked, but beautiful Route 20. Again facing a head wind, (who said that the wind always travels west to east?) so both P&P tried out The PAT. Towards the end of the day P&P crossed continental divide, entered Montana, rode the entire 10 miles of Route 20 in Montana and crossed into Wyoming. On Sunday August 24th we took a rest day from riding and drove to Jackson WY, through the Grand Tetons (where we spotted a grizzly bear), through Yellowstone National Park and landed in Gardiner MT. My Dad, Len, and his wife, Lisa, rented a huge house for us just outside the North entrance to Yellowstone and brought Lisa’s father, John, to tour Yellowstone (his lifelong dream). On Monday August 25th P&P rode from West Yellowstone to Pumice Point on Yellowstone Lake. Meghan, Erin and I trailed them, filming and photographing their progress through the park and across two continental divides. We stopped to have lunch and walk around the truly one-of-a-kind Grand Prismatic Spring. 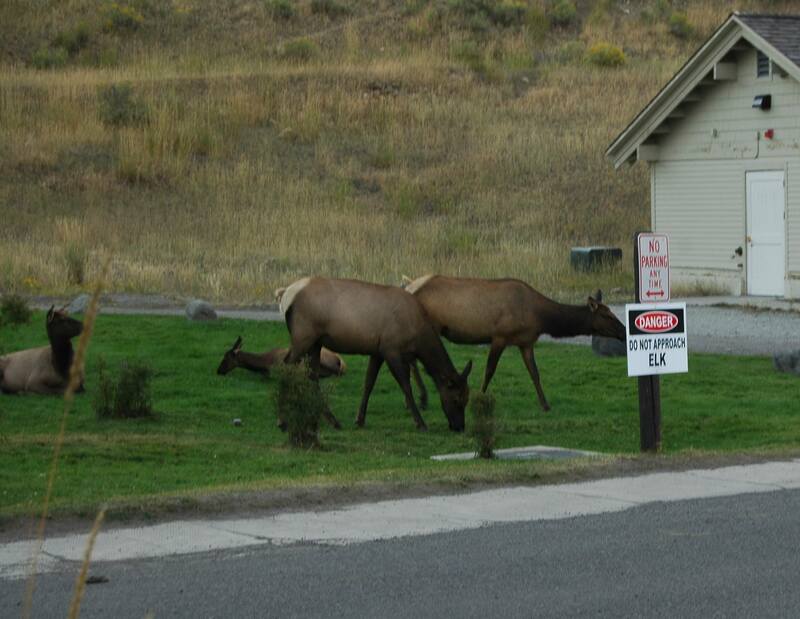 On Tuesday August 26th we took another day off to catch up on some work and tour the beauty of Yellowstone. 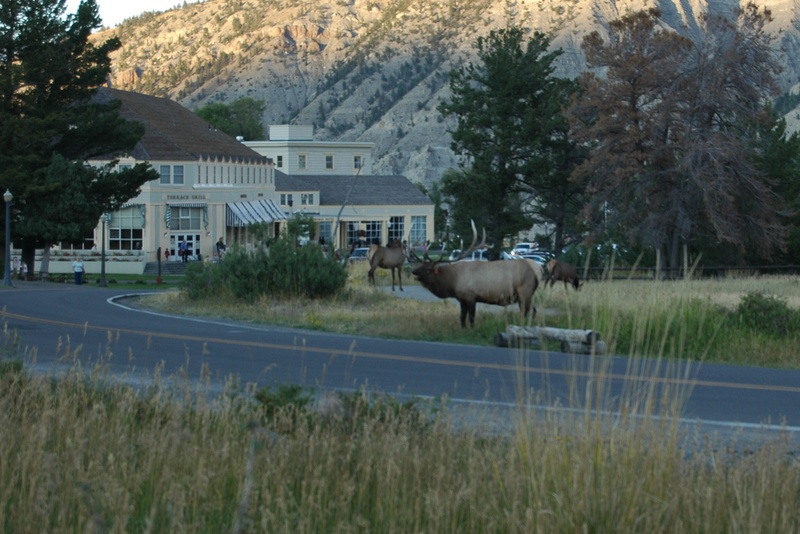 We witnessed many Bison in the road, blocking/ leading traffic and a herd of Elk crossing the road at Mammoth Hot Springs. Pearson and I took a brief bike ride around Gardiner, MT and somehow Pearson found himself with another flat rear tire. 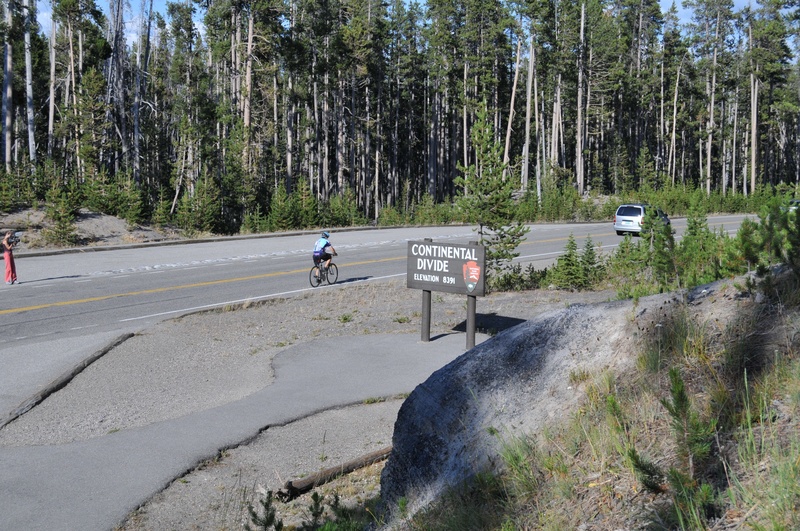 On Wednesday August 27th Pearson and Pete cycled from Pumice Point to the east entrance of Yellowstone- a windy ride up the mountain and speedy 39mph decent. 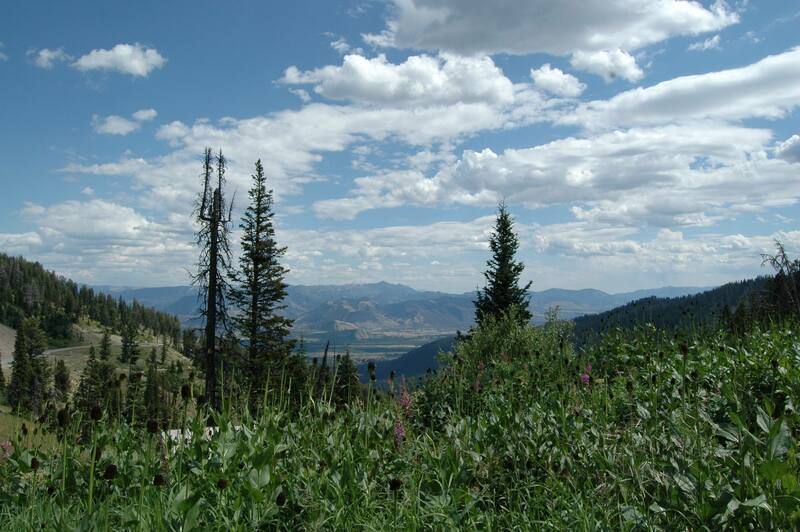 Tomorrow we will travel (riding and filming) 85 miles to Emblem, WY. 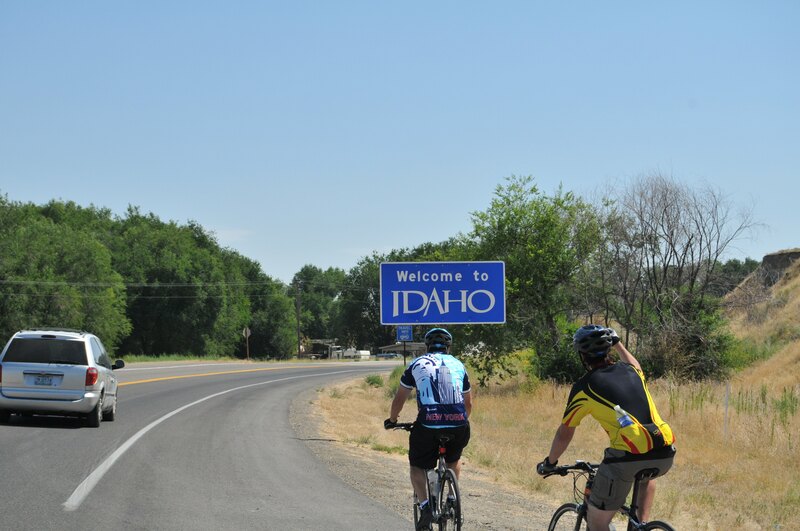 On Friday Aug 22nd Pearson & Pete rode from Butte City to Idaho Falls. 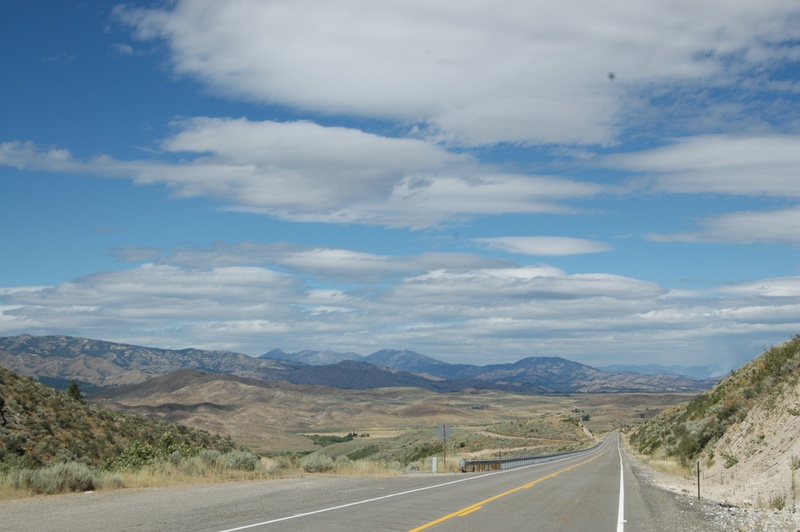 After Pete stopped in Idaho Falls to meet Erin (his girlfiriend) at the airport, Pearson continued on towards St. Anthony, Idaho. Since he was facing a head wind Pearson decided to try The Personal Air Transference System (The PAT). Inspired by an idea from Pat Sheridan he attached at a golf club to the front of his bike (in order to split the wind around him) and increased his speed by 2.5mph. His ride ended just as the sun dipped below the horizon. 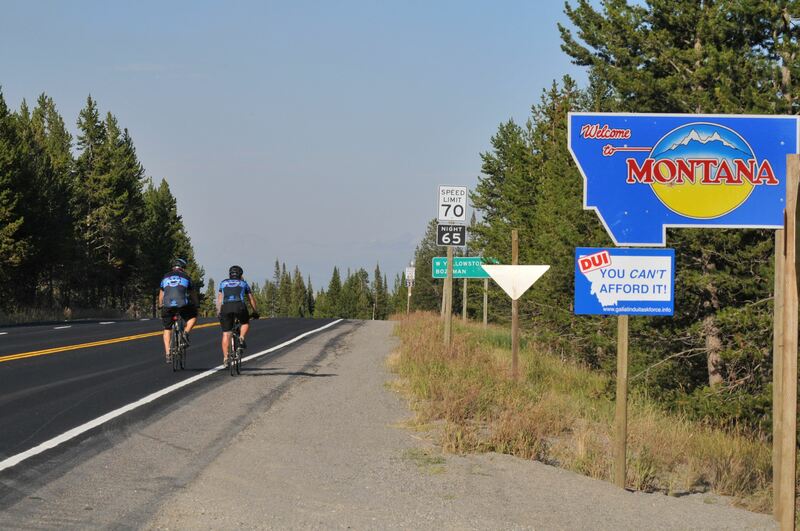 On Thursday Aug 21st P&P rode with 25mph+ tail winds to Butte City, Idaho passing through Craters of the Moon. We all walked to the top of a hill at Craters where winds toped more than 50 mph- it was like being in a wind tunnel at the top of the world. Pearson suffered 2 flat tires on his on Raleigh Bike. 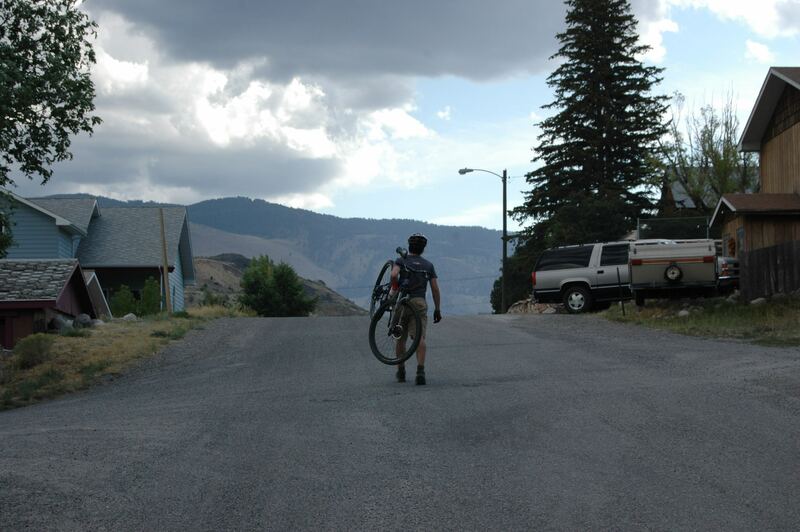 Tired of changing tubes he cracked out his mountain bike, only for it to go flat as he approached Butte City. On Wed Aug 20th Pearson and Pete cycled to Fairfield, Idaho in cooler weather with a tail wind- making for a speedy ride time. The Idaho high desert is beautiful and the low clouds were made in photography/ filming heaven. We arrived in Boise Idaho last night and had a nice rest day today– we finally got some sleep. 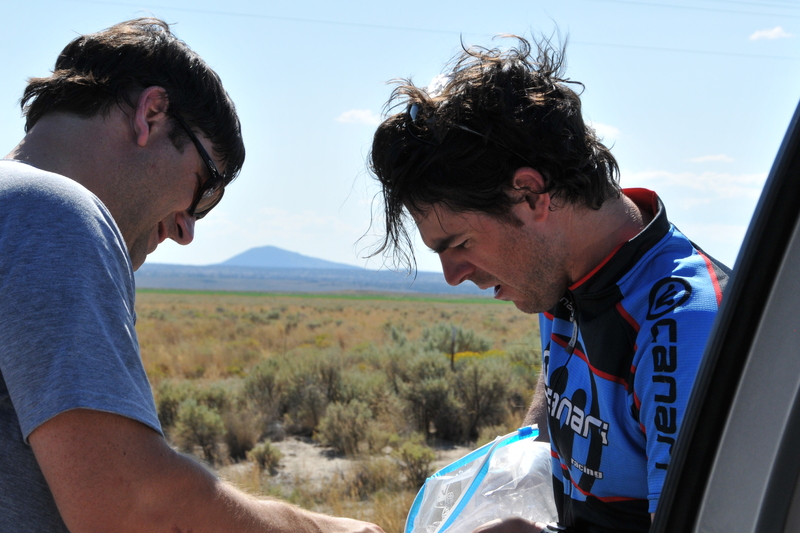 Pearson had another flat tire just before entering Idaho and this time changing the tube went much more smoothly. Unfortunately, his back rim was bent and the 3rd day of 110+ degrees fried his bike computer- so we made a trip to Pedersen’s Sports in Boise today and Michael Weiser was fabulously helpful: tuning up both Pearson and Pete’s bikes! 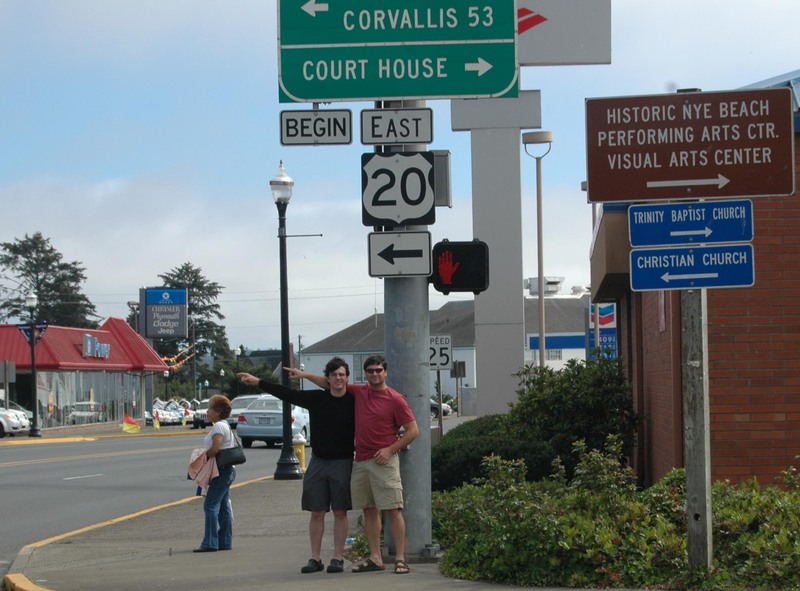 We’re off to Fairfield Idaho tomorrow- through a long detour around US 20s merge with I-84. We’ve spent two days traveling through the Oregon desert on Route 20. 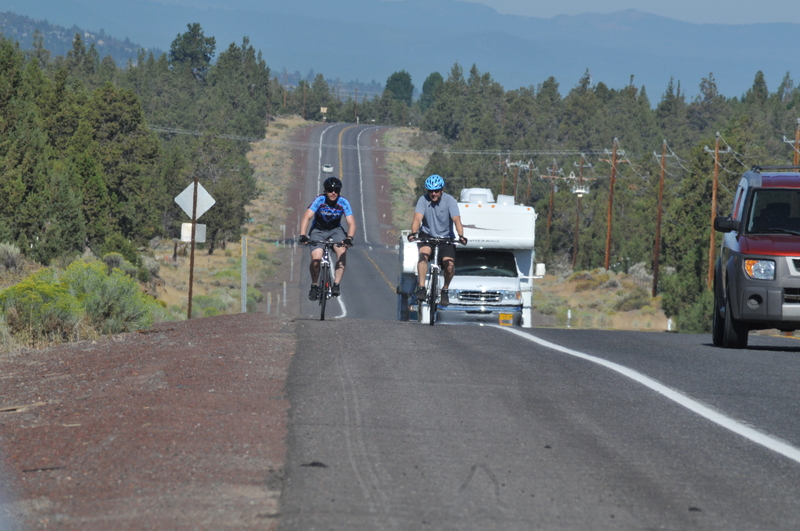 On Friday Pearson and Pete rode 106 miles from Bend to Riley in 110 degree heat, fighting the wind most of the way. Saturday they faced an even more severe head wind for the entire 68 miles from Riley to Stinking Water Pass, but the heat relented to 103. Saturday the gravelly road gave Pearson the first flat tire of the trip and he found changing the tube to be quite a challenge on his new Raleigh Bike. The diversity of landscapes (mountains, lakes, desert, city, farms…) through Oregon has made for beautiful shots of Pearson and Pete riding and the sunsets have been breathtaking. We’ll continue to keep you posted on the progress and hopefully add some video soon. Thanks for all the support and comments! Oregon! OR the whole state is perhaps one of the most dynamic places I’ve been; Sunday: big city, Monday: ocean, Tuesday: ocean & mountains, Wednesday: mountains and lava lakes, Thursday: great beer & incredible people, Friday: high desert & badlands (head winds) and Saturday: horrible winds, high heat and desert mountain ranges. Yesterday we traversed 106 miles of the high desert from Bend to Riley passing through Brothers, which has a population of 10 hearty soles. The head wind was as potent as the 110 degree heat baking our skin. I have never been in the desert, never heard a rattle snake and since last Saturday I have seen three and heard many. This evening I’m sitting outside our hotel in the only town for 127 miles – Burns. I can not believe that there is this much open space in our country, its amazing. As we were riding we could see the road stretch on for miles & watch the heat, smolder up on the tar as if it were a river. There is no shade out here, just fences, dirt and a lot of trucks. We ventured further into the desert abyss today – with another fierce uncontrollable head wind, forcing me to fall off the bike three times. The last hour up Stinking water pass was incredibly beautiful – but the pain was too much to continue. We’ve met so many terrific people in Oregon who have gotten behind our advocacy mission. I would like to mention the great support we received from Daniella & Elliot Crowder, owners of Bike Newport- an amazing shop, who gave us some additional gear for our mountain bikes. Also, the hospitality of Patti & Jeff Evans, a Bend couple who really believe in what we’re doing. They are both incredible cyclists and human beings. While out on a brand new Scott Plasma, Jeff was clobbered by a car, his fourth car/bike accident where he broke his fibula. It’s been 10 weeks and he’s back on his bike(s) limping when he walks but his fervent focus on staying active is intoxicating. I hope that I can ride with him and Patti soon. Oregon is an amazing state! 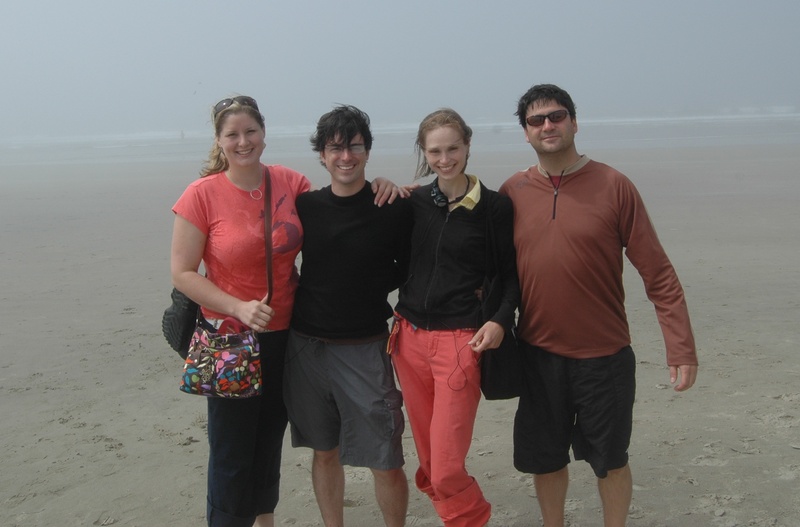 Pearson and Pete began their cross-country bicycle trip on Nye Beach in Newport Oregon at sunrise on Pearson’s 30th birthday (Tuesday Aug. 12th), they cycled hard and fast for 96 miles to Sweet Home Oregon. Meghan Sheridan (our amazing driver and photographer) and I followed/chased them in our van filming every step of the way. After a brief birthday celebration and a short rest we continued our trip on wednesday through the grueling 96 miles of Cascade Mountains from Sweet Home to Bend Oregon. 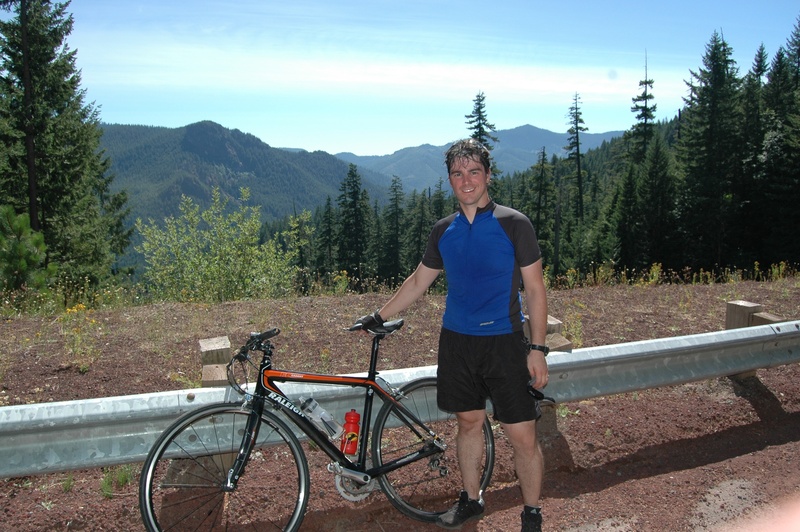 Pearson rode like an animal, killing the 4250 foot, 4650 foot and 6400 foot mountain passes in just over 7 hours of pedaling! Our rest day today in Bend Oregon was great. We had two media interviews, one for KTVZ Channel 21 and one on KBND Radio News. We toured the Deschutes Brewery and hung out with Jeff and Patti Evans, two terrific and generous local cyclists. We begin moving again tomorrow, 108 miles into the Oregon Desert in what are anticipated to be record high temperatures. We’re one day away from Oregon and three days away from the start of the cross-country bike ride! We’ve been driving across this incredible country- seeing by car the diverse landscape and people. It’s been eye-opening and has further built our anticipation to truly experience this vast country at 15-20 mph and meet the people in the places we’ve just buzzed through. A crippling hit-and-run accident can't crush the spirit of a remarkable bicyclist, nor end his dream of cycling across America. The Long Bike Back is officially complete!